The position of PEAC Regional Program Director (RPD) for Region 1 was formally turned over from Dr. MacArthur M. Samson, President of the University of Luzon, to Fr. Gilbert B. 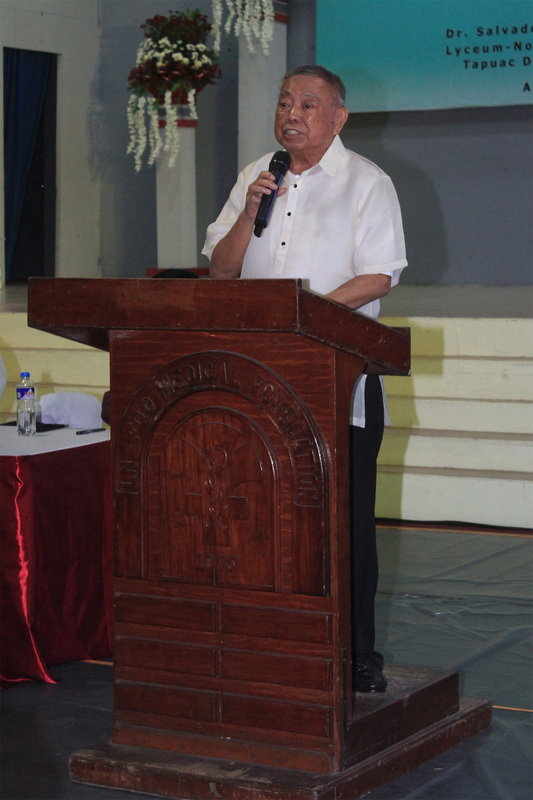 Sales, CICM, President of Saint Louis College of San Fernando, during the regional orientation on the GASTPE program in Region 1 on April 26, 2018 at the Lyceum-Northwestern University, Dagupan City. 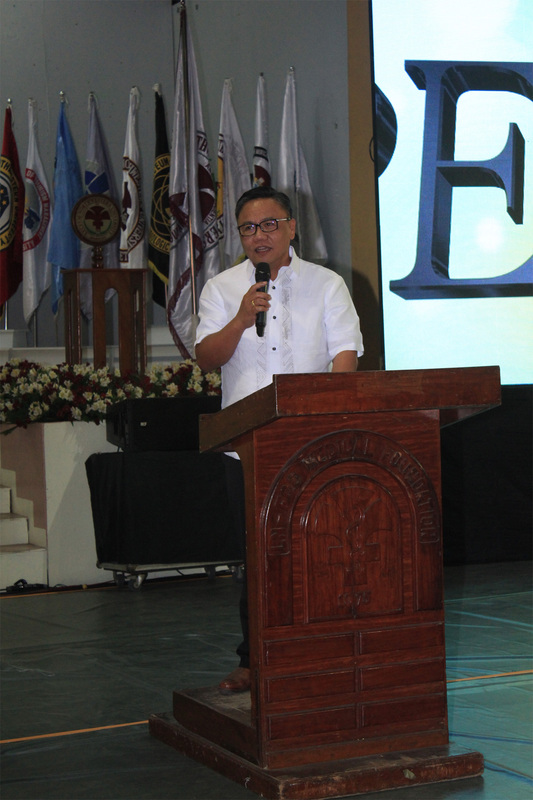 In his message to the participating schools, Fr. 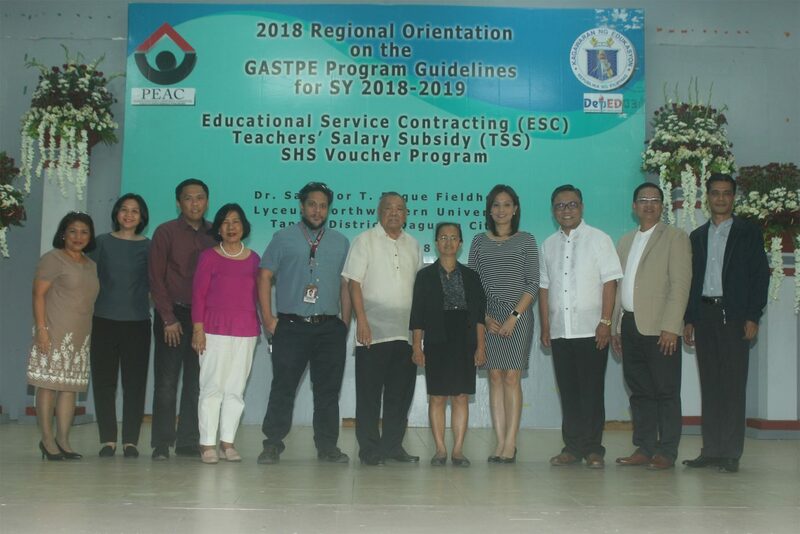 Gilbert encouraged the private schools in Region 1 to collaborate with the PEAC in the Education Service Contracting (ESC) and SHS Voucher Program with transparency and efficiency. Fr. Gilbert’s term of office is effective starting this school year 2018-2019. Fr. 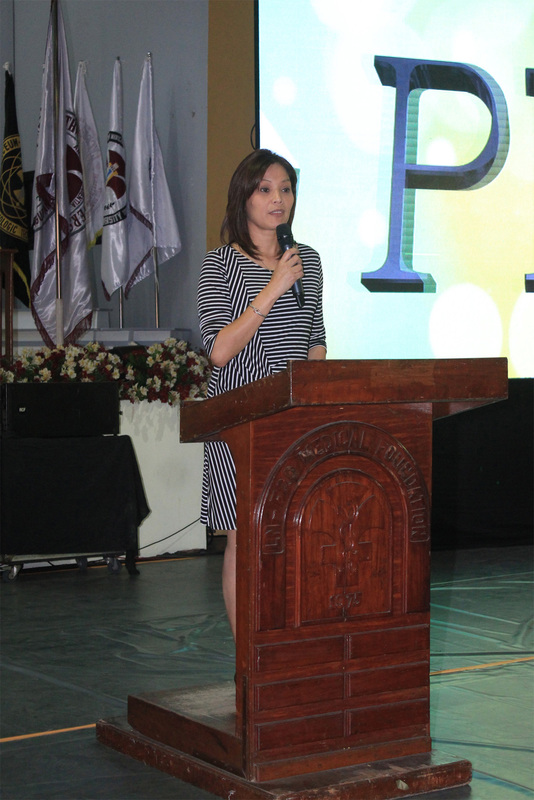 Gilbert also announced that Dr. Marina O. Abella remains the Regional Program Coordinator for Region 1. Moreover, the office of the Regional Secretariat will be based in Lyceum-Northwestern University in Dagupan City. 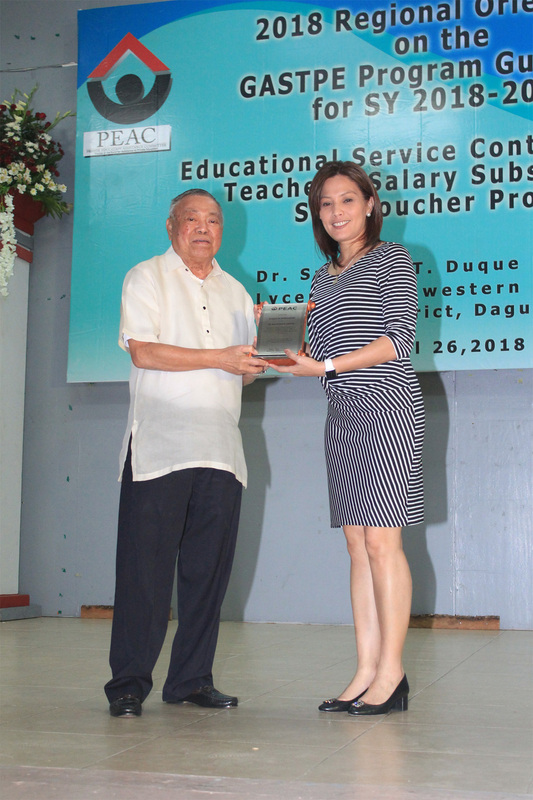 Dr. Samson was also presented with a plaque of appreciation by Ms. Doris F. Ferrer, PEAC Executive Director, for his service as RPD for Region 1 and his support to the programs and projects of the PEAC. Hi! It is still on process. Kindly check the PEAC website for updates.